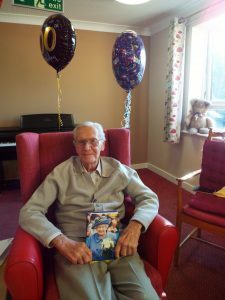 We were delighted to celebrate Squadron Leader Jack Lawrence’s 100th birthday with him this week. A resident here at Rockdale, Jack is known as Lucky Lawrie. Read Jack’s incredible story in the Sevenoaks Chronicle this week and by clicking here. 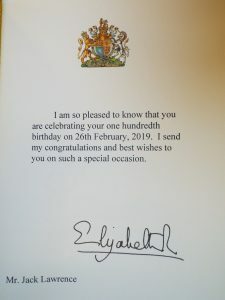 Along with Queen Elizabeth II, family and friends, we wish Jack a very happy 100th Birthday!